Maia Makhateli, principal with the Dutch National Ballet, comes from a true dance family. Her father runs a ballet school in the United States and her brother is David Makhateli, ex Royal Ballet principal. Maia began her dance training at the Chabukiani Choreographic Institute in her hometown of Tbilisi, Georgia. 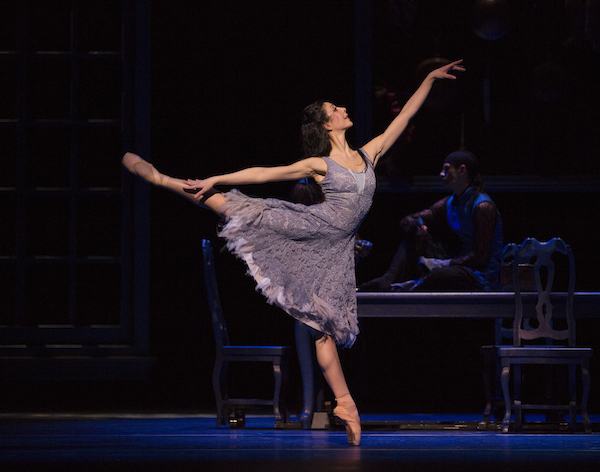 At the age of 16, she moved to the United States and joined the Colorado Ballet as the youngest dancer in the company. 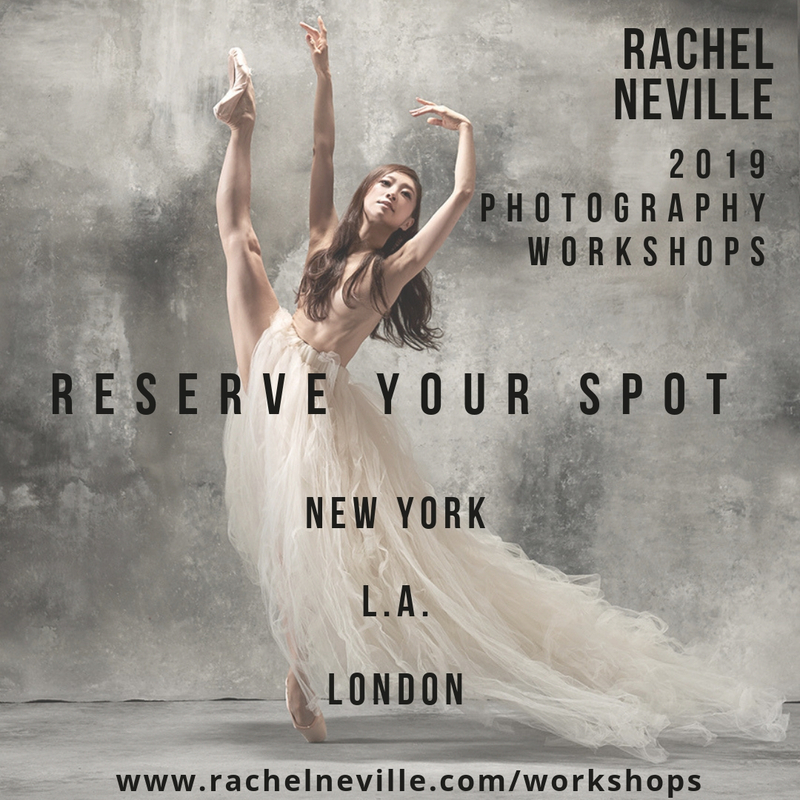 She danced with that company for four years and became a principal, but then moved to the Birmingham Royal Ballet for a year to expand her repertory. In 2007, she auditioned for the Dutch National Ballet (DNB) and joined as a grand sujet. In 2009, she became a soloist and a year later, she was promoted to principal. DNB has recently revived Christopher Wheeldon’s 2012 successful adaptation of Cinderella, which is now set to tour to London (July 2015). I spoke to Maia as she prepared to return to the title role, and she told me about the process of transforming into a princess and finding her prince. TBB: Who inspired you to dance? MM: I didn’t know anything else but ballet. From the age of three, I knew I was going to be a dancer. Both my parents were dancers, and so was my brother. They served as my examples and they taught me as well. I was watching a lot of DVD’s with Sylvie Guillem, as my father had basically all the recordings of her performances. Back then, she was my big inspiration, I wanted to be just like her. I still love her, but now that I am grown up I understand that everyone has their own qualities and no dancer can be the same. Nowadays, there are quite a few ballerinas I like, and I try to learn from every one of them. 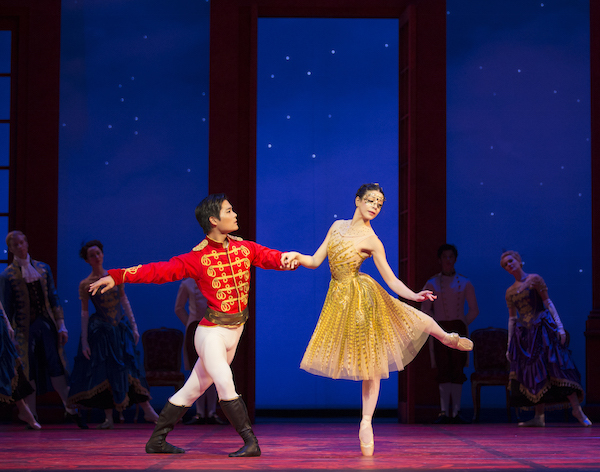 TBB: How is it to perform the title role in Wheeldon’s Cinderella? MM: Before learning Christopher Wheeldon’s Cinderella, I had already performed in Martin Fredmann’s version with the Colorado Ballet, and I had a really clear vision of what my Cinderella should look like. Wheeldon’s Cinderella is a bit different though. In his ballet, he shows a kind and loving woman as well as a strong person who can stand up for herself. She is not just a victim, but also a strong character. In the beginning, it was difficult to be this Cinderella, because it was not the one I knew from the fairytale. But now I like it a lot. I think it is more modern and up-to-date. TBB: How was your experience of working with Wheeldon? MM: Christopher is a very nice person and a very professional choreographer. He knows what he wants from his dancers. He is very clear and very precise, but he is also a lot of fun to work with. 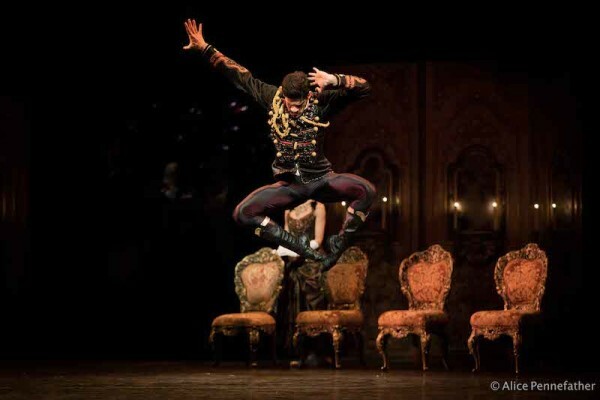 He has a really funny side to him, which I think you can see in his ballets. I think it’s a talent. I really enjoyed working with him. Learning Cinderella was hard though. He has his own specific choreography in terms of steps and coordination. You have to mold it to your body. Two years ago, we worked on it for a very long time, so recently when we started rehearsing it again it came back quickly. It is as if the body remembers it. That’s why physically it feels slightly easier this time. TBB: Has anything changed now that you’re coming back to the role, compared to two years ago? MM: The biggest difference was my change of partner. I used to dance with my fiancé Artur Shesterikov. In fact, the spark caught on when we danced together in Cinderella back in 2012, so I have a lot of positive memories connected to this ballet. 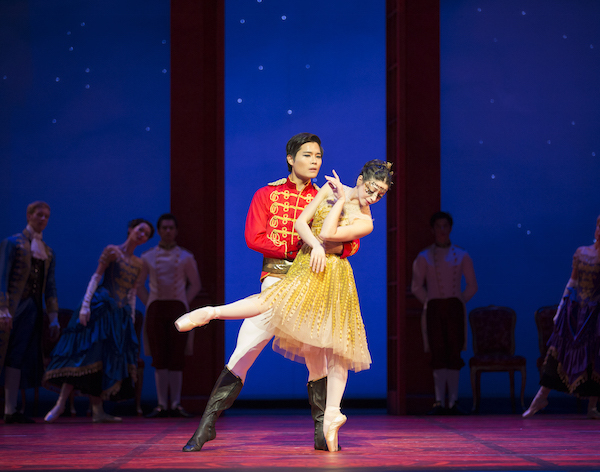 Unfortunately, Artur was unable to dance with me this season, and Young Gyu Choi will be my prince instead. I enjoy dancing with a different partner because it is challenging and it allows me to grow as a dancer. As partners, you learn from one another. Every dancer partners and acts differently, and that makes the process more interesting. TBB: Any favorite moments in this ballet? MM: It’s hard to say, as I have quite a few! 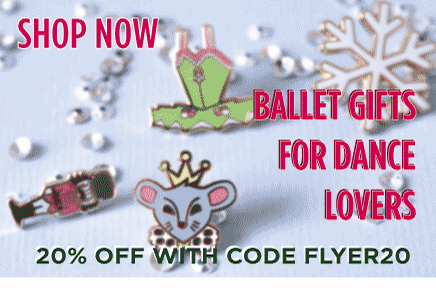 There are so many little details in this ballet that you have to see it more than once to be able to notice all the characters. I love to perform the acting passages, because it allows me to try out different things and it makes me feel like every performance is slightly different. The transformation before the ball feels really special to me. It is amazing how a dress can change a personality. I never actually thought about it until the general rehearsal. I was wearing the ‘kitchen dress’ and when I went to change in the ballroom dress I came up and thought ‘wow, I really feel like a princess!’. It is special to be able to live such moments. TBB: What is 2015 bringing you? MM: I am looking forward to dancing in Balanchine’s Jewels (Rubies and Diamonds) in February as I’ve never danced it before, and I’m also excited about the Cool Britannia programme: I really hope to be in Wayne McGregor’s Chroma. I’ve seen this ballet and I like it, it’s something completely different. TBB: You’re now dancing your 8th season with the Dutch National Ballet. Are you happy in Amsterdam? MM: Absolutely! I regularly do guestings abroad, and it’s very inspiring to see other dancers from all over the world perform. You learn a lot from it. But I’m always happy to return here. I like the repertory and the people I work with. It feels like home!